Our Father, giver of life and joy, who is like you, Oh Lord, that we should come to you with our praise? You do not need these words, for you formed our lips. What is man that you are mindful of him? All who inhabit the earth owe their lives to you. Your power, might, and love are seen in the bounty of this season. We gather this day around tables laden with food that you have brought forth. We gather as Lord and friends whom you brought into this world. We bow before you with humble hearts knowing we live because you brought us to life. We celebrate this day as a nation of people who have been blessed beyond any other. We acknowledge you as the giver of the good we so easily take for granted. Forgive us as we are a forgetful people. 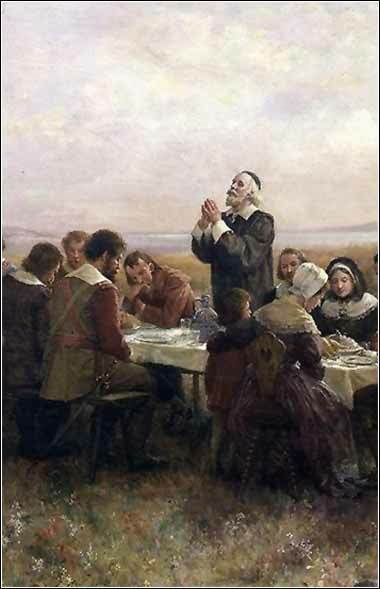 Grant us on this Thanksgiving Day, the time to reflect on all the ways you have blessed each of us who has gathered. Increase our understanding of your ways, defeat us when we use our blessings for selfish gain, and remind us to love one another. 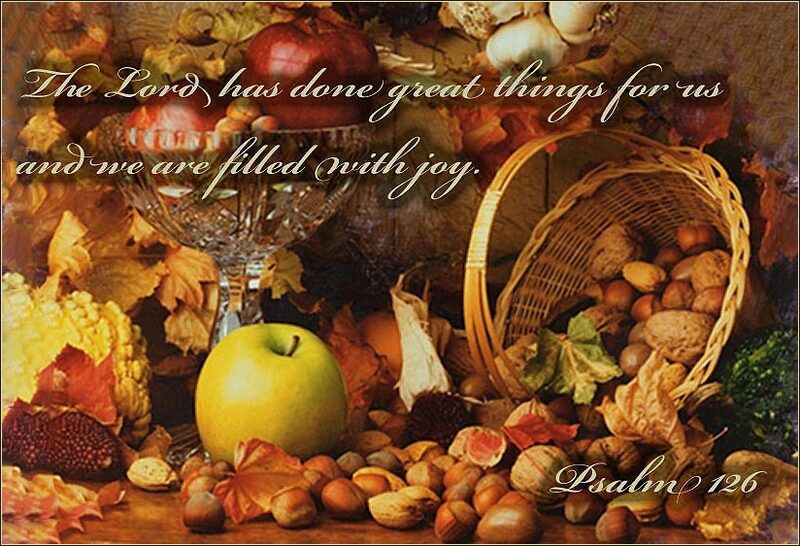 I give you thanks for the fruits of the earth in their season and for the labors of those who harvest them. Make me and all of my brothers and sisters in Christ, I pray, faithful stewards of your great bounty, for the provision of our necessities and the relief of all who are in need, to the glory of your Name; through Jesus Christ our Lord, who lives and reigns with you and the Holy Spirit, one God, now and for ever. This is a praise hymn in based on the American Traditional Shaker melody with the text an adaptation of Psalm 145.